Simple to make wall mount bracket designed to mount an Angle Grinder. This will allow you to keep your angle grinder tidy and best of all you don't heed to remove the disk when you put it away. The grinder will be ready to use whenever you want. For those of you who wish to make their own the plans are available from here. The drawings are provided in several formats and for those without a CNC machine there are drawings suitable to use with traditional tools. The drawings are provided in 2 sizes for both the 4inch and 5inch griders. 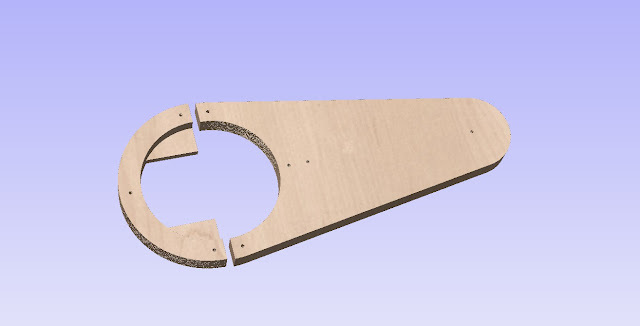 Thanks CNCnutz for giving us this great project, Awesome videos I just got me a CNC so this will be a great project to learn with, along with it will be nice in my shop!